We're a small Michigan based company serving our community with the most comprehensive, creative and innovative technology solutions for over 15 years. Our mission is to provide innovative Internet technology services from one source and make significant & lasting contributions supporting our community. To discover the unprecidented performance, cost savings and innovation we can offer your business or organization please contact us. 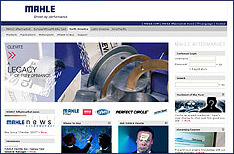 MAHLE announces it has chosen IAS to redesign and integrate online publications capability for its CARQUEST US & CA products website. 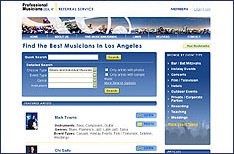 IAS launches the LA Professional Musicians website. Integrated website capabilities for the 9000+ member union include: account/payments management, live music referrals management, member to member extranet & administrative reporting. For inquiries or support requests please use our Online Service Form. Regular support hours are 9:00 AM - 5:00 PM EST Mon - Fri.
Find out how IAS OnSite Managed IT services can save you time and reduce your overall IT support costs. Inquire today.